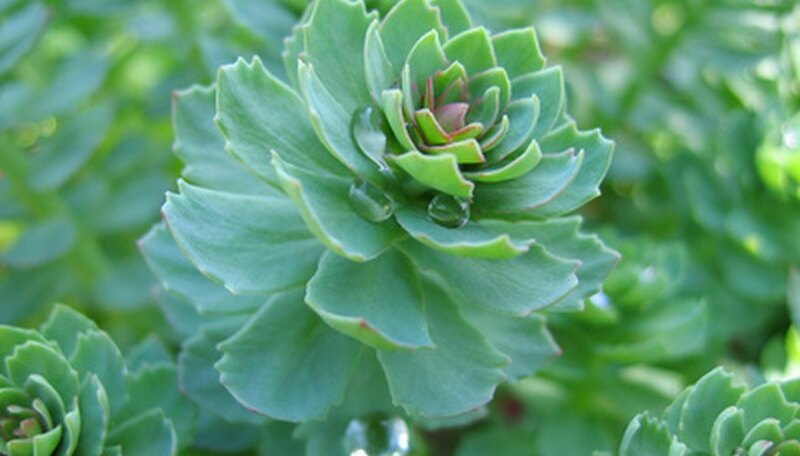 Sedums are succulent plants that retain water in their leaves and are among the hardiest succulents available. In fact, some varieties tolerate winters all the way to United States Department of Agriculture plant hardiness zone 3. While many perennials need special care during the cold weather months, sedums are very easy to care for during this time. Allow sedums to remain in your garden when you’re pruning your other perennials in the fall and early winter. Most sedums are attractive during the winter months. However, showy sedums (Sedum spectabile) will die to the ground during the winter months. You still don’t need to prune them though. Prune only diseased sedums to the ground in the late fall or early winter. Discard the clippings in the trash, not the compost pile. Sedums will grow back in the spring. Remove the debris (such as the remains of showy sedums) from under and around your plants in the late fall and continue to remove any debris as it accumulates. Small animals and bugs may take home in accumulated debris during cold weather. Sedums do not need mulch in the winter. Stop watering and fertilizing in the fall and do not do so during the winter as well. Sedums will wilt and change colors some in the winter, but that is normal. Return to watering and fertilizing in the spring when new growth appears.